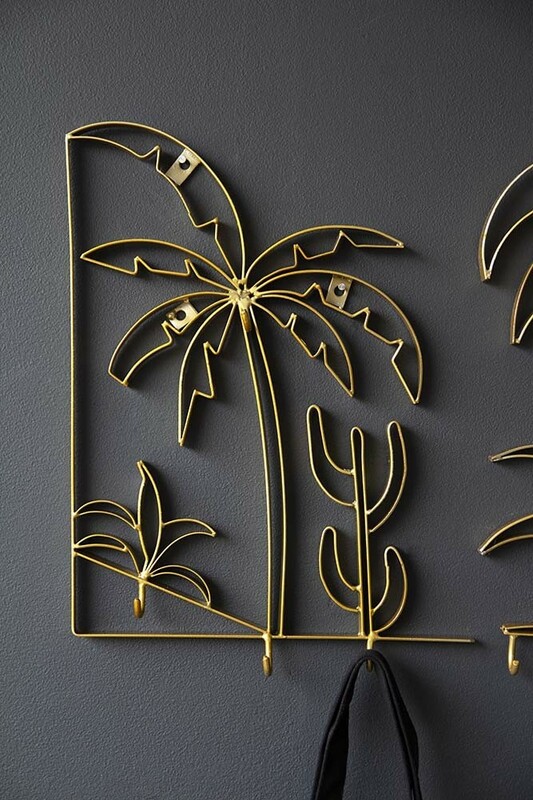 At Rockett St George we are firmly of the belief that even the smallest of the details in the home should be interesting and unique. From frills on your pillowcases to animal motif door knobs, we think that everyday items should reflect your unique personality! 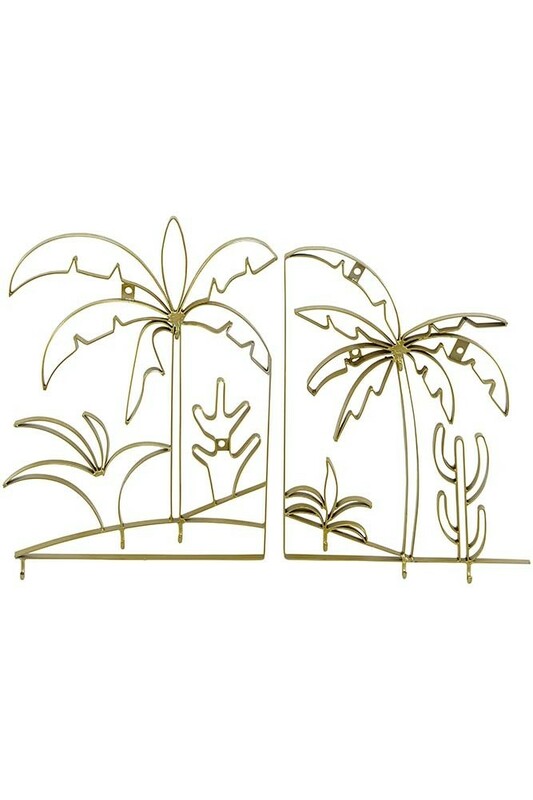 A great alternative to traditional coat hooks the Set of 2 Gold Palm Tree Wall Art Coat Hooks are anything but boring! Featuring a tropical scene, the metal hooks with golden palm trees, cacti and desert plants will add interest to your walls! 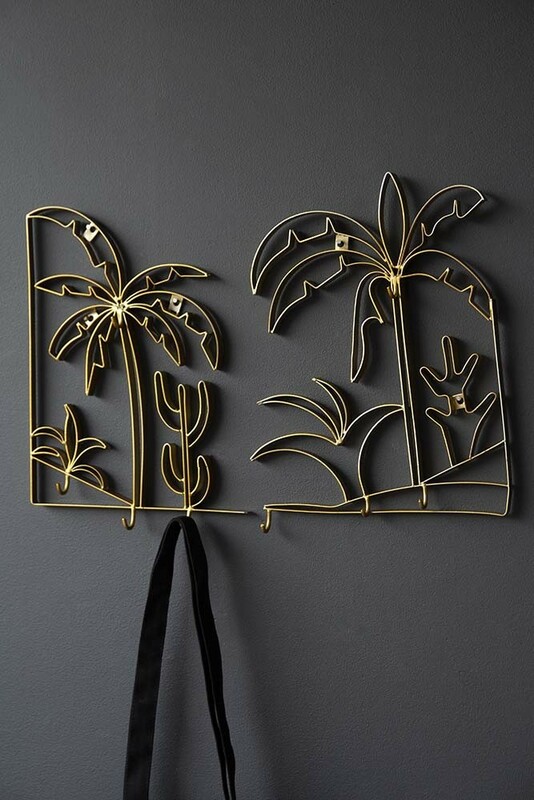 A functional utility piece for the home made beautiful the Set of 2 Gold Palm Tree Wall Art Coat Hooks are perfect for hanging your scarves, jackets and hats on in your hallways, utility rooms, kitchens and bedrooms.